Ahoy matey, I be noticin’ your loneliness ever since we left port. Ye need to get used to leavin’ yer old ball n’ chain if ye really want to be a pirate like me. And if the blues be too heavy to bear, ye got yer smartphone there. Just call her up and get a whiff of her voice again. Now, if ye be a stinkin’ cheapskate, I be recommending Viber, a cost-saving communication app that I be using meself. Viber isn’t a new app in the world of mobile communications. It has been around for a few years and has actually enticed more than 12 million people to use it. Well, you really can’t blame those 12 million people because Viber is truly a nifty little app. And that is spot on whether you are an Android junkie or an iOS Apple lover. Making calls and sending SMS isn’t free. Mobile carriers will often provide you with a monthly plan that allows you a finite number of free calls and texts. They then charge you extra should you go beyond the appointed limit. If you got a lot of friends or are some kind of uncontrollable chatterbox, you know that all those additional calls and texts can cost a small fortune. This problem is where Viber becomes a godsend. 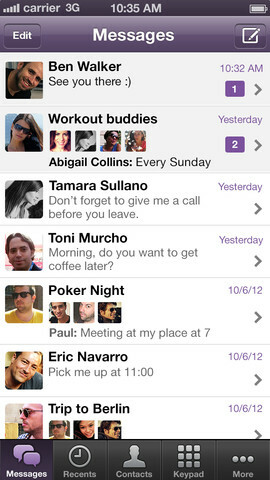 Viber is an app that allows you to communicate to your friends for free. Well, let me rephrase that – it lets you communicate with your friends that have Viber installed for free. Viber allows you to send instant messages or make voice calls as much as you want within the Viber network using the contacts database in your smartphone or tablet and a Wi-Fi or a mobile data network connection. Viber is quite useful when you your friends have Viber and are online. It becomes rather useless if the people you need to contact isn’t online or if you don’t access to a Wi-Fi or data network. This is definitely the limitation. The good thing is that almost everywhere you go is connected one way or another – via Wi-Fi, 3G, or the latest LTE. So, the chances that you won’t be able to connect with your Viber buddies is pretty bleak. Hence, this really isn’t a big deal limitation. I love Viber. I love it more than Skype or Fring – and I do use both heavily as well. This is because I find Viber easier to use, what with the clean and clear interface, and the almost automatic integration to the smartphone’s calling system. If you want to call someone that uses Viber, you will have the option to use that or proceed with the standard mobile connection. If you have Skype and Fring installed, you will definitely have to choose what app will be the default call handling app. I would recommend going with Viber 8 out of 10 times, just because of the user-friendliness of the app. Need I say more? It is free just like Skype, Fring, and all the other apps in the same boat. And with over 12 million people online on it, it is highly likely that you will find a good number of friends and contact addicted like crack to Viber. Thanks for your review, we’re always happy to hear about our users’ experiences! If you have any questions about Viber, we’d be happy to assist. hello dears… i really need your help .. why ur not putting viber call on blackberry 9900?? we only can send messages, but if you can make it for us and put viber call on bbm because there is many peoople worldwide are using blackberry … can i have your reply?? Why I can’t receive automatic phone call from viber? Please help me! Hi there viber team.U guys had really put in a lot of effort in making viber rumble for me and my mates all over the world.We are able to chat,mms and sms for definately free!Know how much we save?I think with my network of friends and relatives all over I guess it is no small expenses I have to incur to be able only to chat with them.Keep moving and improving the system and god’s willing we will all be able to utilise with the best free calls anywhere in the world. Thanks viber team for making my mobile very useful gadget.As i can message & call free & that too fast. Why in all blackberry models, there’s no free call??? Only messages..? Hope you have a reply in this message.. Thankx a lot viberr!!! why this app only for android n iphone can use. When nokia can use this app? so greatful to have VIBER , thanks to all VIBER TEAM , more power !!! I like viber, is an amazing app, i use it to send SMS with my gf because is easier and love the push up notification. The calls are good but not greate when i call someone using a WP OS device but to an android or ios device is just great . Good. It is very useful for us. Thanks a lot. So good!Since I did upgrade version,I can’t get auto call code in Myanmar.How can I get code please? At the moment, Viber is compatible only with Windows Phone 7.5. In the future we plan to expand to newer versions of Windows Phone. Did you download it from Ovi Store? Please specify what country you’re located in, and which cellular network. Please give also viber to the blackberry mobile phone soon. i have been using viber on my G-tel infinity but now i have changed it and now using nokia E63 which is operating on S60.So when is viber for Nokia E63 be out? I can’t upgrade at my phone. I had been lost my fb account. my phone is free viber. Unfortunately Viber does not yet offer support for Nokia E63. We are continuously working to adapt Viber to more and more devices, and when we have news, we’ll let you know. Hi, I really want to have a viber apps for Nokia X3-02. Link please. Thankyou. HI I’need very important to have viber. 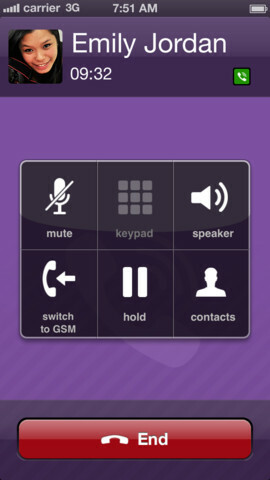 when voicecall will come in for viber on my/phone QW29 DUO? I installed viber in my iPhone but is not want to open to me . My son is n the Navy and was deployed overseas. I suspended his phone service while he is gone. Will we still be able to use Viber when he has WiFi access? We all have iPhone 4. What do I have to do to use Viber from France to US? Do I need to put a different SIM card in my phone to get 3G or wifi there? Will I have a huge data usage bill when I get home? Awesome review! I love Viber, and we all use it in our office. Great innovativeness! Why can’t i download viber on Nokia x3.02 tho it says its supported by viber but yet im unable to download it, why is that? I just want.to confirm that this does not use my phone plan’s texts. I don’t have a text plan at all.,so I don’t want to end up paying a fortune for each message. I’m in the US and have an android phone on Verizon. My family (also in the US, but with iPhones on AT&T) has Viber, so it would be great if we could actually text each other now. Is Viber utilizing IM/data instead of texts? I think I know the answer, but I want to be absolutely sure before I go spending $0.10/text. does nokia asha 311 support viber?